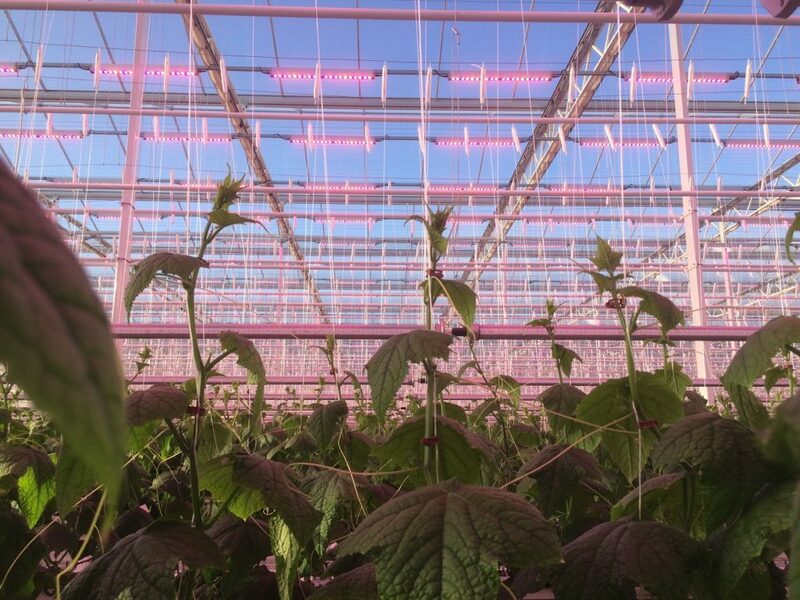 World leader in lighting, Signify, has announced that both Jardins Réunis and Cheminant have installed Philips GreenPower LED toplighting and Philips GreenPower LED interlighting in their new cucumber greenhouses in the Nantes region of France. 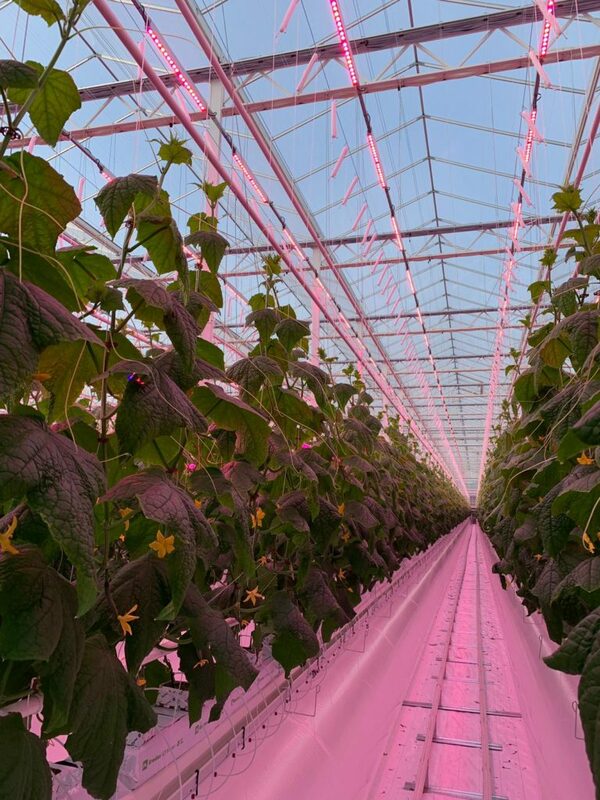 This marks the first time LED lighting has been used to grow high-wire cucumbers in France – and solidifies the growers’ leadership as members of the Océane grower cooperative. Like Cheminant, Jardins Réunis installed its lighting in a newly built semi-closed greenhouse. The 25,000 m² greenhouse will use LED toplighting (145 µmol/s/m2) and LED interlighting (67 µmol/s/m2). 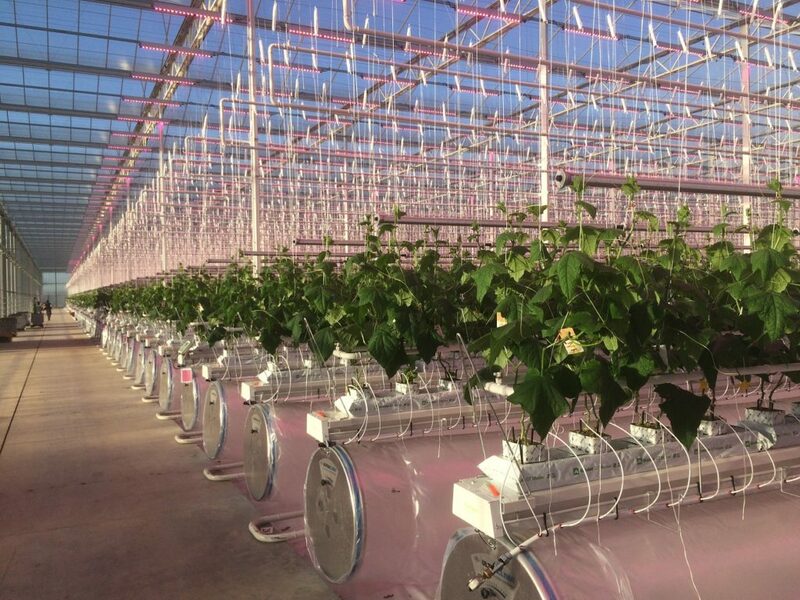 Installations for both greenhouses were carried out by the French certified Philips Horti LED Partner Eiffage Énergie Systèmes in November 2018. This is the first growing season for both companies to make use of the system.